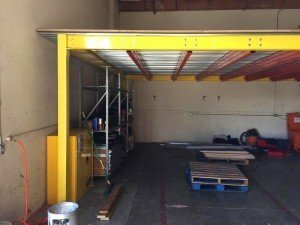 Out of warehouse space? 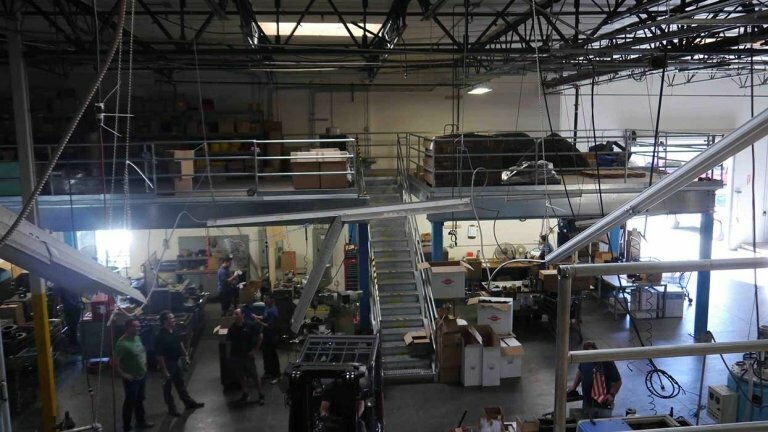 Our fabricate mezzanine can help you! 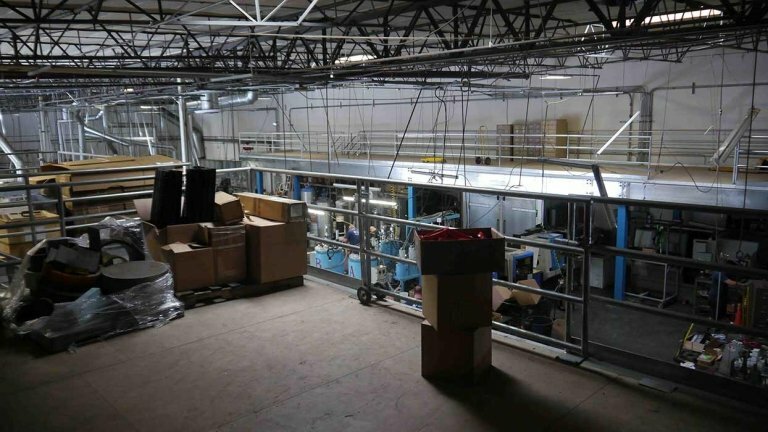 Pacific Bend Inc. sells high quality used mezzanine systems. 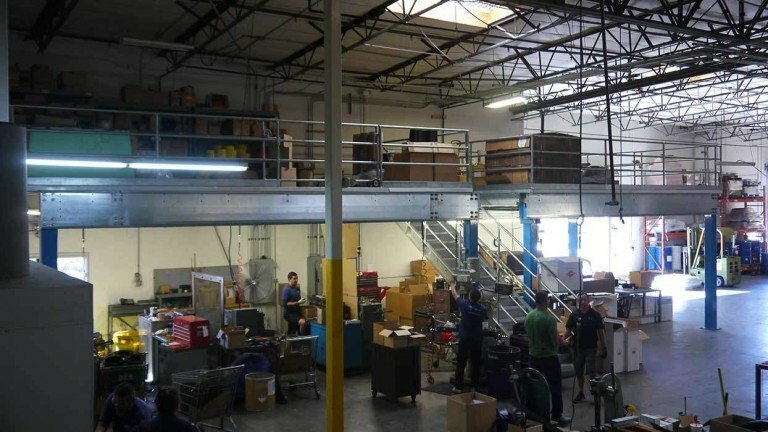 Each used mezzanine is heavy duty and in amazing condition. 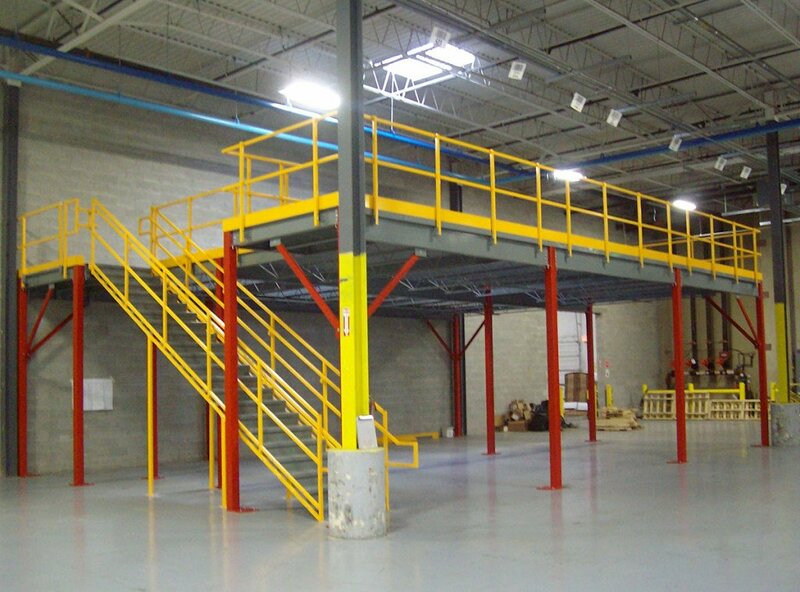 These used mezzanine systems are design to store heavy high materials for a long period of time. 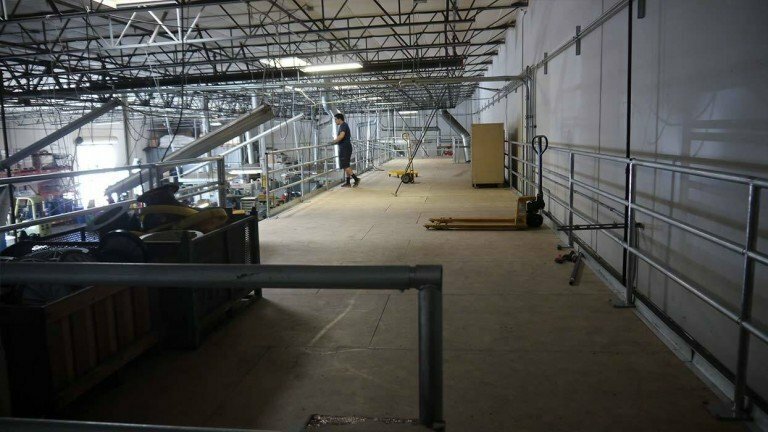 Our used mezzanine systems are tested time and time again, all to make sure that every used mezzanine we built will last for years to come. 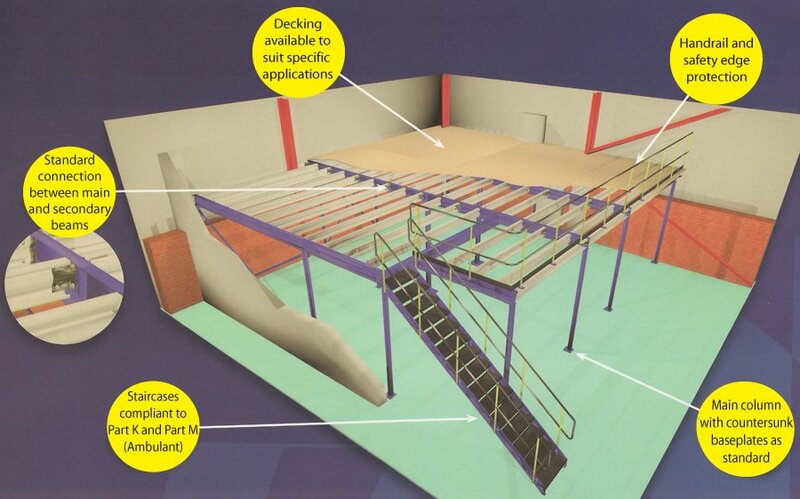 We can fabricate mezzanine in any size. 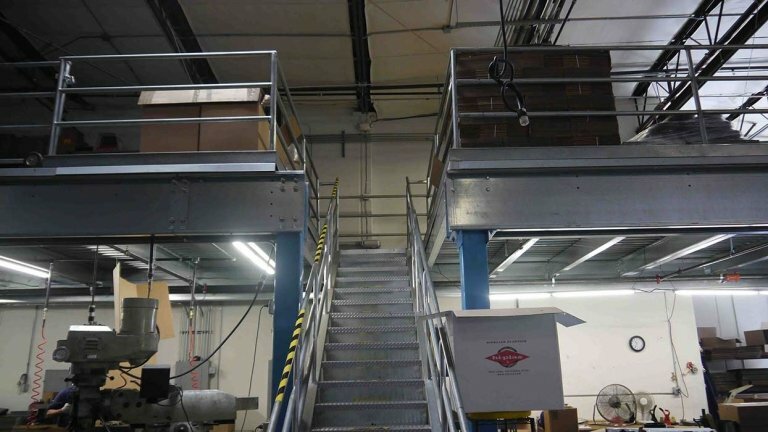 Since we fabricate our own materials we can customize our mezzanines to meet any and all our customer needs. 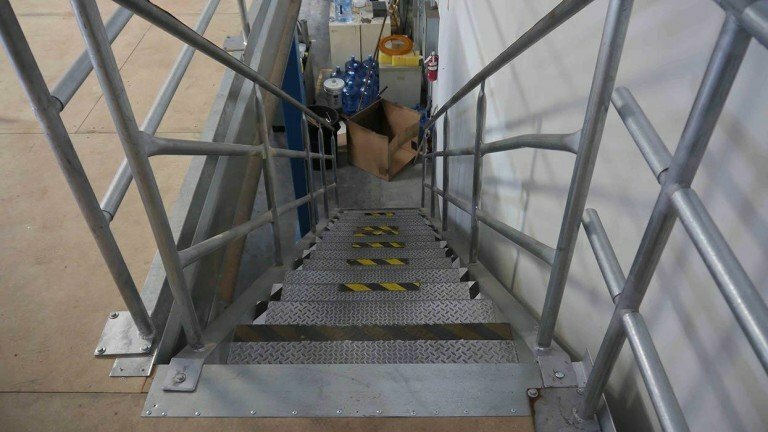 Our standard mezzanines are equipped with stairs, rails and gates. If you need something a little more advanced, just let us know. Our in-house engineers can design anything you can possibly image. 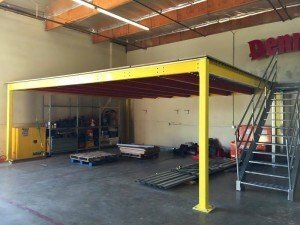 Looking for a mezzanine that uses pallet racks for support beams? 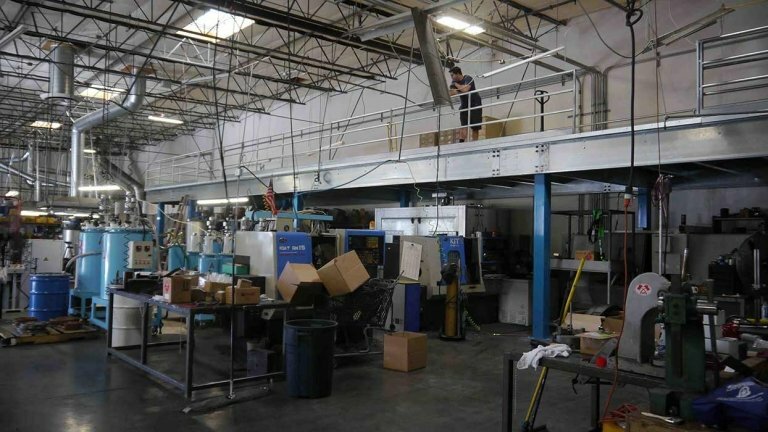 No problem, we can design and fabricate that custom mezzanine in no time! 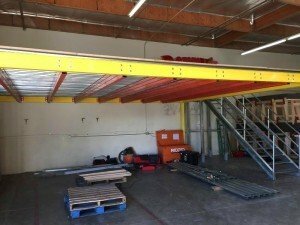 We fabricate mezzanine using only high-quality steel, they are made using custom built equipment. 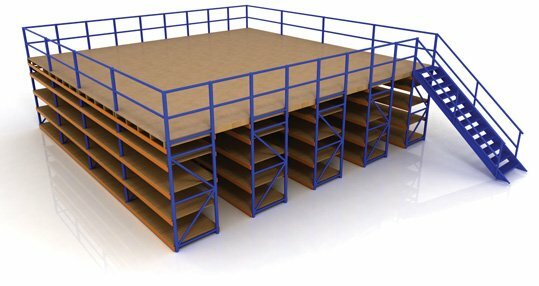 Do you have enough storage space in your warehouse? If your answer is no, then call Pacific Bend Inc. today! In architecture, a mezzanine or entresol is a raised platform that is independent of a building structure and is supported by columns. 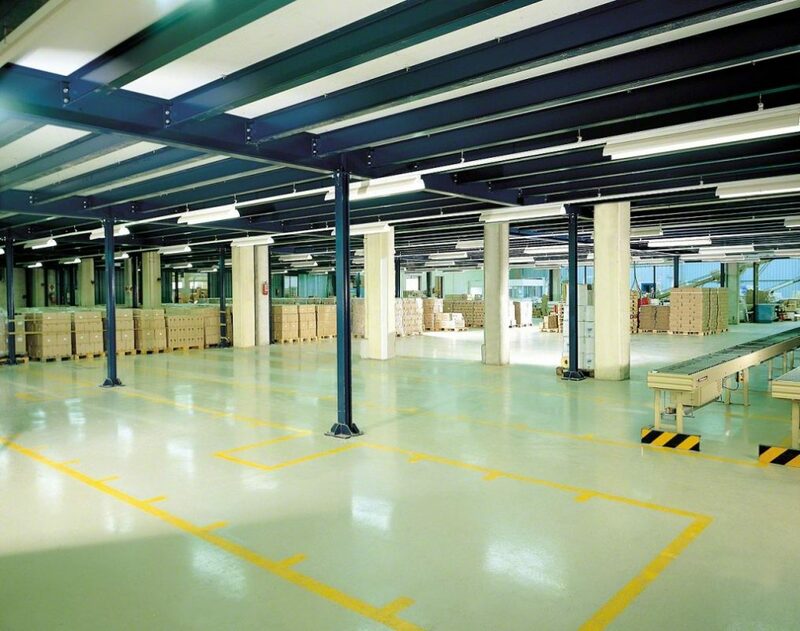 Mezzanine flooring can create additional floors of space for a variety uses such as storage or extra office space. 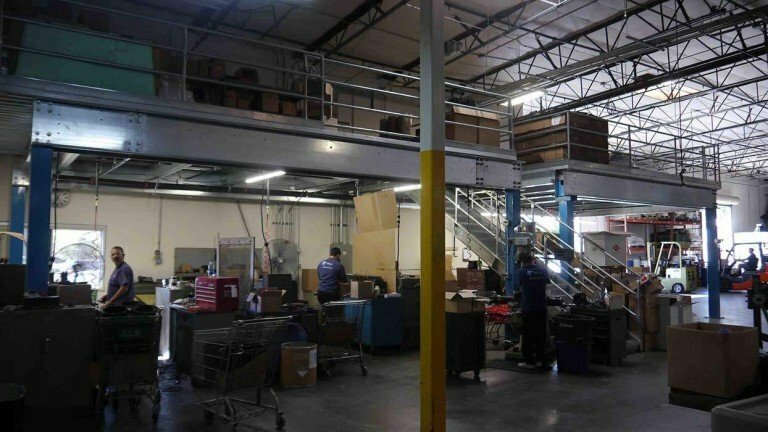 Mezzanine floors are a very quick and cost-effective way to create new space without the expense and inconvenience of relocation. 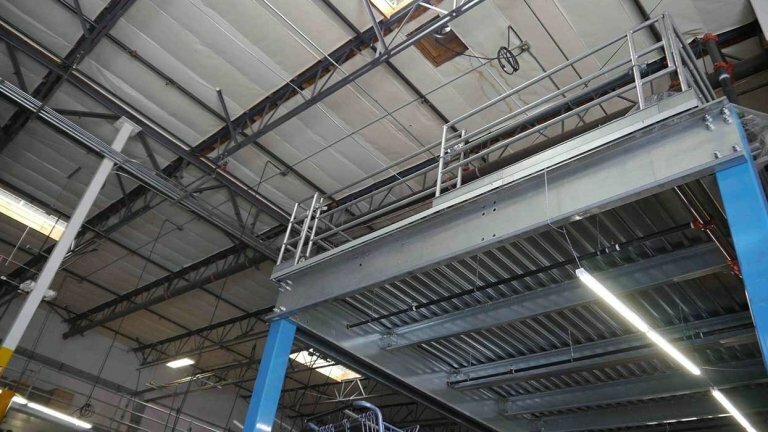 “A steel structural mezzanine floor utilizes the overhead space in existing premises with a minimum of disruption and in most cases without the need for permit requirements. 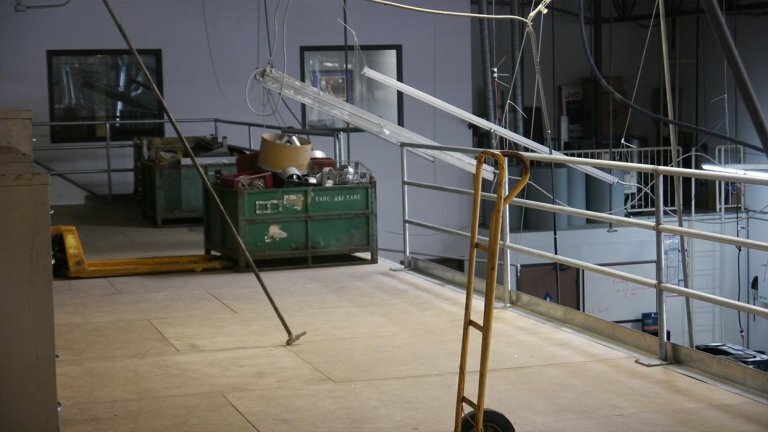 Often, a mezzanine has a low ceiling and projects in the form of a balcony. The term is also used for the lowest balcony in a theater, or for the first few rows of seats in that balcony. The word mezzanine is borrowed from the French mezzanine, from the Italian mezzano (“middle”), from the Latin medianus. 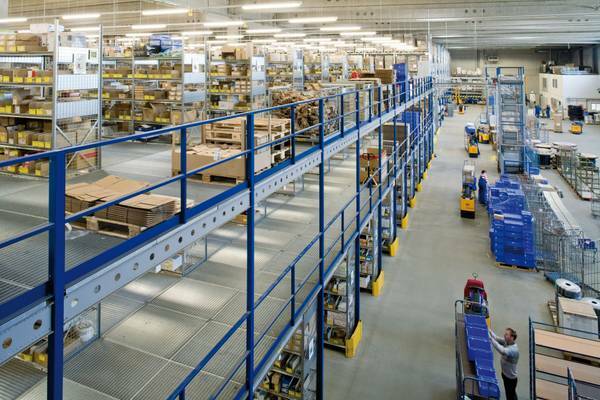 “In industrial applications, mezzanine floor systems are semi-permanent floor systems typically installed within buildings, built between two permanent original stories. These structures are usually free-standing and in most cases can be dismantled and relocated. 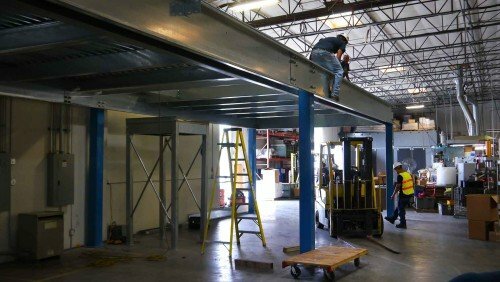 Commercially sold mezzanine structures are generally constructed of three main materials; steel, aluminum, and fiberglass. 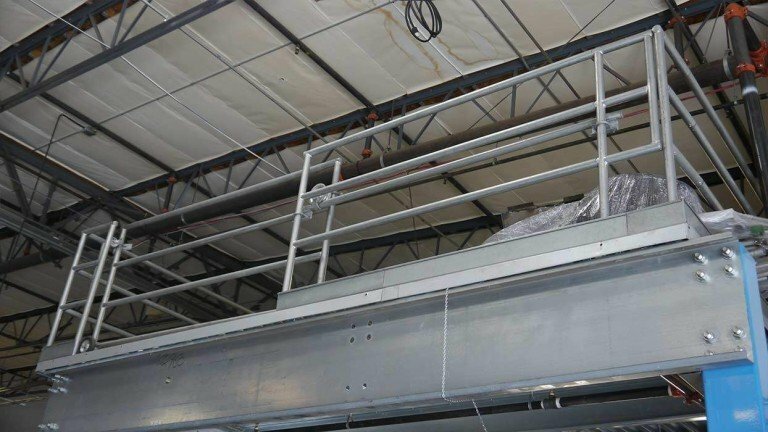 The decking or flooring of a mezzanine will vary by application but is generally composed of b-deck underpayment and wood product finished floor or a heavy-duty steel, cement rods, aluminum or fiberglass grating.